Saddle bags, as I have explained in the luggage page, there are times in a riders life when he/she plans for a really long ride , which means more stuff to pack and that translates to the need of more storage space. In this condition , a tank bag /tail bag might turn out to be terribly short handed for the job at hand. That’s where the saddle bags comes into play. Saddle bags are storage containers that are mounted or suspended on both sides of the bike, thereby giving a lot more potential storage space for the rider so that he/she can carry more stuff around with him or her. Now, lets get into details of what we have been testing for the past few weeks. And it is , as you have guessed a saddle bag and that too the latest addition to the Rynox gears list…Read more.. 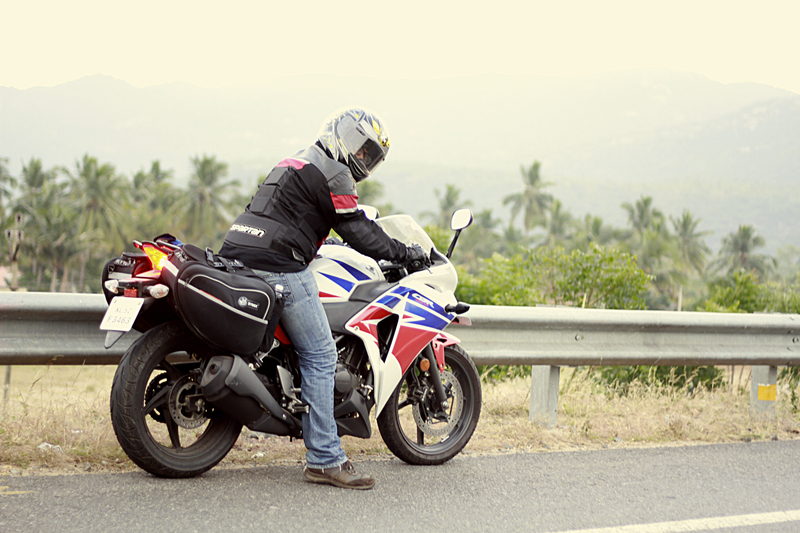 I know its too much to ask for but is it possible to have a pillion with these bags on a Duke 390? It will be very very tough Atul , with the 390 pillion seats already being almost useless.